Parents are careful stewards of their children’s activities — eager to support wholesome activities that help the child grow, and equally eager to discourage activities that don’t seem worthwhile. 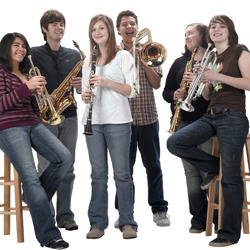 The parent’s opinion, whether informed or not, will determine the child’s participation in band. In this step, you’ll communicate with the parents, answer their questions, and enlist their support. 2. Hold an Instrument Showcase Night. Calling each parent and having individual conversations requires considerable time and can be hard to fit into a busy teaching schedule. However it has the advantage of personal, one-on-one attention. The Instrument Showcase Night is a big one-time production but builds excitement, allows face-to-face meetings with parents, and completes the signup process in one evening. Choose which method is best for you considering how many students you’re recruiting and how much time you have. Directors have been successful with both methods. The important thing is that you do one of them.